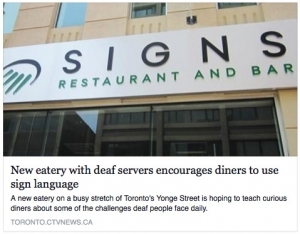 Welcome to the Registry of Interpreters for the Deaf, Inc., (RID) 2015 Annual Report. This report covers the accomplishments, data, and highlights of the overall performance from the fiscal year period of July 1, 2014, through June 30, 2015 (FY15). Where appropriate, we have also provided data from previous years to show long-term trends. 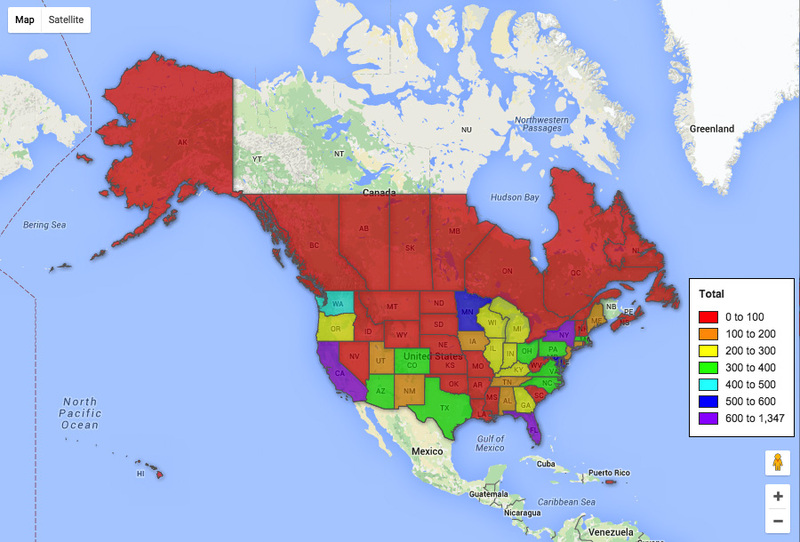 This is a large, comprehensive, multi-media report, which includes text, video, and images. It may take a few minutes to fully load into your browser. FY15 can be defined as a year of learning for RID. While this report covers activities from July 1, 2014, through June 30, 2015, I hope that you will see how recent communications and decisions, made within FY16, have been driven by the deeper examination we were able to make in FY15. The transition in leadership at Headquarters (HQ) as well as on the Board really created a space for our true evaluation and assessment. This is the first time since I have been on the Board that we were looking at the information as a whole, not in parts and not in silos. We were provided information in a way that really gave us the opportunity to look at the entirety of what RID is. By doing so, we weren’t focused on being relevant in just one or two areas, we wanted to look at the overall relevance of RID. How did we do that? Well, we created a toolbox of resources for which the Board could utilize in our decision-making. Creating that toolbox consumed much of FY15. 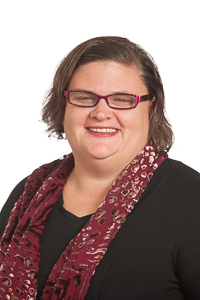 BOARD CONSULTANT: An important part of our approach to addressing our relevance was the addition of a Board consultant to facilitate our conversations and dialogue about creating a more relevant RID. 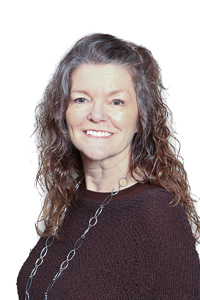 The Board and RID have been lucky to have the dedicated work of Heather Harker to guide us throughout this process. 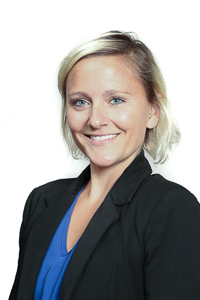 Change isn’t easy, but Heather has guided RID out of decision paralysis to a place of decision relevance. 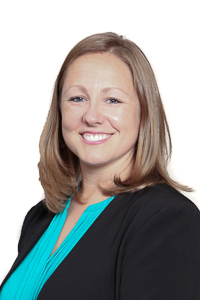 INTERIM EXECUTIVE DIRECTOR: During the transition in leadership at HQ, the Board hired Anna Witter-Merithew as the Interim Executive Director. We approached this as an interim position only as we needed and continue to need someone to right our ship as far as systems, policies, and procedures at HQ. We wanted an interim who would also commit to having no interest in the long-term position of executive director. We were lucky to grab Anna on her way to retirement as her agenda and passion is committed solely to right the RID ship and assist in securing our relevance for the profession and communities we serve. ORGANIZATIONAL ASSESSMENT: One of the major aspects of this evaluation was the organizational assessment that was conducted in the Spring of 2015. It revealed a true report card of RID’s programs and services as well as our governance structure and public perception. FINANCES: The Board also sought information from HQ on our financial standing. How we looked yesterday, how do we look today, and what will we look like tomorrow? What is our projection of sustainability if we keep the status quo? You will notice that this annual report includes some long-term data. We wanted to provide this to you so you could see what we, the Board, were seeing. VOLUNTEER LEADERSHIP: The Board seeks counsel from our three councils: Diversity Council, Council of Elders and Deaf Advisory Council. 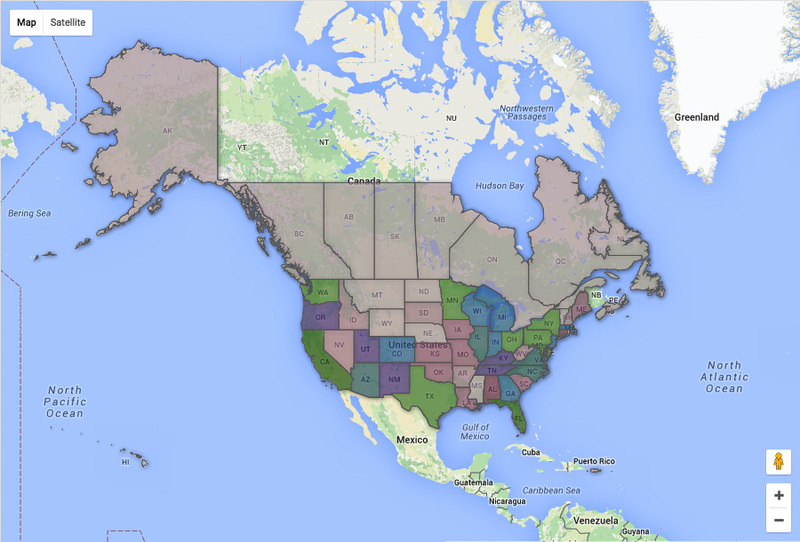 These councils provide the Board with perspective for consideration in decision-making. They are a valuable part in ensuring that a wide-range of perspective is considered as we look at the global RID. 4Rs: All along, the Board has functioned from the point of the 4Rs, roots, relevance, respect, and results. This focus on the 4Rs is the core of our work. It strengthens our positioning to govern and operate out of the impact on the 4Rs. It keeps us rooted as to why we are here and who served on the Board in our 50 plus years before us. With all of that, the Board has more like a vat of resources rather than just a toolbox. As you can see, our decisions are not made in a silo of just 11 Board members. All of the items previously mentioned are essential elements to all of our decision-making processes and are present for every discussion. What drives us? We, just like you, are members of this organization. We share some of the same stories and experiences that you do. We want our professional organization to be that support that we seek in our everyday work. What you want is what we want. From the results of the organizational assessment, that has been made more clearer than ever. FY15, while a year of transition and uncertainty at times, provided the groundwork for that relevant RID we all seek. It will mean change, yes. But from all the data we have shared with you to-date, we hope you agree that status quo is not an option. The greatest accomplishment of FY15 is the commitment of the community in working together for RID’s success. We have come together to show we care about the organization. Hello. 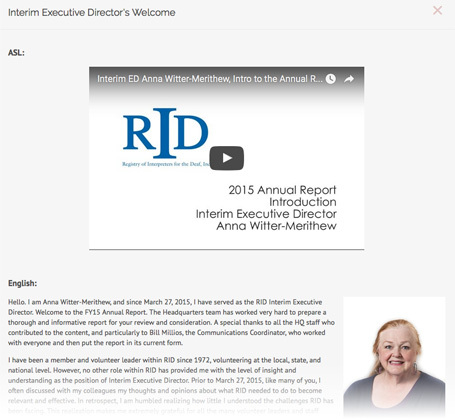 I am Anna Witter-Merithew, and since March 27, 2015, I have served as the RID Interim Executive Director. Welcome to the FY15 Annual Report. The Headquarters (HQ) team has worked very hard to prepare a thorough and informative report for your review and consideration. A special thanks to all the HQ staff who contributed to the content, and particularly to Bill Millios, the Communications Coordinator, who worked with everyone and then put the report in its current form. I have been a member and volunteer leader within RID since 1972, volunteering at the local, state, and national level. However, no other role within RID has provided me with the level of insight and understanding as the position of Interim Executive Director. Prior to March 27, 2015, like many of you, I often discussed with my colleagues my thoughts and opinions about what RID needed to do to become relevant and effective. In retrospect, I am humbled realizing how little I understood the challenges RID has been facing. This realization makes me extremely grateful for all the many volunteer leaders and staff serving RID; their dedication, commitment, and loyalty are what has enabled us to achieve many things in our 50-year history. 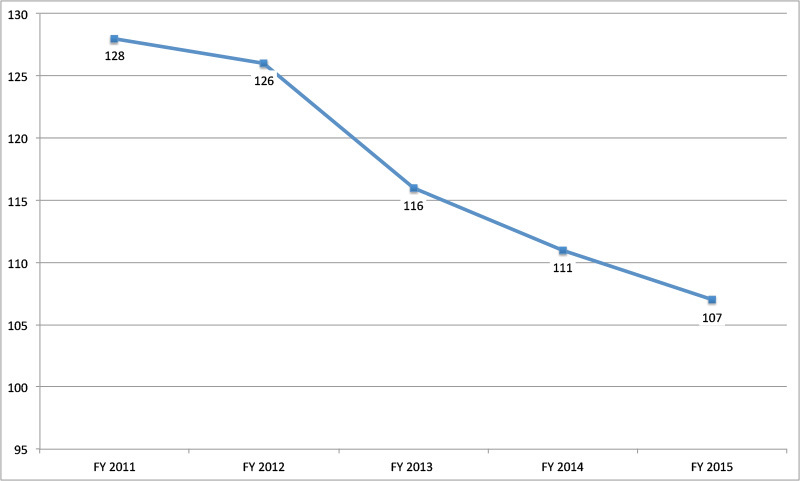 If asked to characterize FY15, I would say it is the year in which the RID reached its tipping point. The term “tipping point” refers to the point at which a series of small changes or incidents becomes significant enough to cause a larger, more important change. As changes in leadership within HQ occurred, it created an opportunity for the Board and association to take a step back and engage in a series of assessments which revealed, in detail, a range of vulnerabilities and risks for RID. The implications of these findings were of such potential consequence as to require leadership action. President Whitcher has referred to FY15 as a year of learning. I agree. As the Board and HQ staff processed the findings of the assessments, they studied and synthesized them in order to learn what it means for our association. Thus, it is learning that led RID to the tipping point and to the actions that will flow from confronting a number of long-standing and persistent challenges. And, that is the story that this annual report seeks to tell. The stories of our various programs and services and the learning RID achieved this year by engaging in deep analysis and study. This has led to a new level of understanding that goes beyond the data and seeks to understand what that data means to us as an association and what actions it requires of us. As an illustration are RID’s finances. Like many non-profits, RID struggles to maintain the funding necessary to accomplish all that we would like or are expected to do. And, what we came to understand more fully in FY15 is that years of deficit spending has caught up to us. Deficit spending occurs when our annual income projections are not met and our spending exceeds our income. So, to make it through a fiscal year, we have to borrow from reserves and new, incoming funds intended for the next FY. 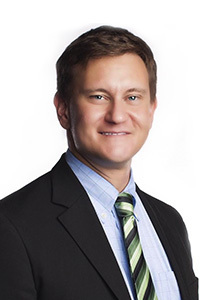 When this practice is further impacted by having to cover unexpected costs, such as legal fees for lawsuits or business losses, such as those incurred for testing and certification, it can have a significant impact on a given FY. But, when an organization does this time and again over multiple years, it can be devastating and put an organization at risk for insolvency. RID has found itself dipping into its reserves each year and borrowing a bit more from the next year’s new income to complete each FY. This leads to less and less cash-on-hand at the start of the new fiscal year, and this perpetuates the deficit spending cycle. This spending cycle, in which RID has been functioning for years, was studied by HQ and the Board and led to the tipping point for RID in FY15. The cause of this pattern is systemic and complex; it is embedded in our approach to budget planning and management, spending practices, accounting approaches, staffing patterns, Board-HQ relationships, and overall fiscal decision-making. It is the result of numerous interdependent factors. Therefore, correction requires system-based changes. We have to change our way of doing business; improve our planning and managing the annual budget; regularly predict, reduce, and safeguard against risks; and improve our management of competing priorities. Fortunately, as we submit to you the FY15 Annual Report, both the Board and HQ are committed to use the learning from this year to work collaboratively to create the systemic changes that will allow RID to correct its course, regain its relevance, and to once again thrive. Additionally, as has always been part of the RID story, your continued support and engagement as members and volunteer leaders is a critical part of what it will take to achieve the necessary change. 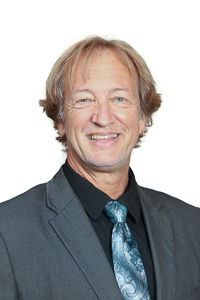 To help members and stakeholders gain further understanding of the financial challenges facing RID, additional fiscal information related to testing and certification is provided, both our income and loss distribution over the past 15 years, the per test cost for the NIC Performance Exam, and the estimates of what it will cost to complete the enhancements to the NIC exam. As well, narrations are provided throughout the report to help tell more of the story of the FY15 data, July 1, 2014-June 30, 2015. You can access these narrations by clicking on the buttons embedded within each section of the report. As you spend the next few weeks absorbing this information, along with other documents and information being provided by the Board and HQ, let us know your questions and comments. FY15 is the year that RID experienced its tipping point and began a process of transformational change. RID’s potential is OURS to fulfill. RID is OUR association, and together, we can use FY15’s learning to move beyond the FY15 circumstances and help create a stronger, more sustainable, and relevant RID. Thank you for taking the time not only to access the information in this report, but to learn from it and to let that learning contribute to you becoming a more engaged and effective member of RID. 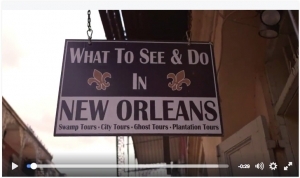 … a sampling of notable videos, and some of the most popular tweets. Each position on the Board of Directors has their own tab. These are the individuals holding the position during FY15. Note: Although the conference wrap-up was during this fiscal year (FY2015), the 2014 RID Region V Conference was held June 25-29, 2014 in San Diego, CA, which pre-dated this fiscal year being reported on in this annual report. 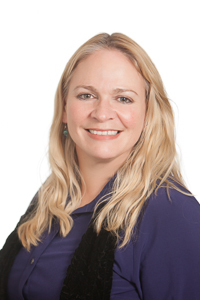 This fiscal year saw the appointment of Anna Witter-Merithew as the Interim Executive Director. “I have felt several emotions as I wrote this book: joy, dismay, excitement, anger, and hope, to mention the main ones. Joy because of how much we have accomplished; dismay at how much we have erred; excitement for the future; anger at our dilatoriness; and hope for our success. The one emotion I did not, nor do not feel, is despair. First, let us remember the words of Lou Fant. Advocacy - what's the story? The stories of RID’s advocacy efforts in FY15 are told through the outstanding efforts of volunteer leaders in affiliate chapters across the country. They are told in Florida, where Florida Registry of Interpreters for the Deaf (FRID) and Florida Association of the Deaf (FAD) worked tirelessly on interpreter licensure legislation. And in Idaho, where a dedicated group of interpreters and Deaf community members said as one, “It’s time to raise interpreter standards in our state.” The stories are also told in our member sections, like the Interpreters in Educational and Instructional Settings (IEIS) and Video Interpreter Member Section (VIMS), whose members generously offered their expertise and experience to support the work of the association. Without these passionate and dedicated leaders, RID’s work to influence public policy would be severely limited. Together, we achieved greater recognition of the profession and promoted raising standards for interpreting across the country. We also secured an appointment to the Federal Communication Commissions (FCC’s) Disability Advisory Committee’s Relay and Equipment Distribution Subcommittee. As we look forward to the completion of FY16, it is these partnerships between volunteer leaders and Headquarters staff that will bring relevancy to our advocacy efforts. Our work is far from over. In fact, we are just getting started. 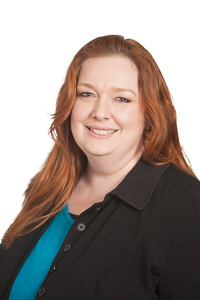 April 16, 2015: Mid-Atlantic ADA Center – “How do I Know They’re Qualified? A top priority of the Certification program during FY15 has been the review of our current programs and to recommend next steps for each. The NIC and CDI were identified as priorities for the development of new assessments. With that in mind, RID partnered with certification industry experts to develop a plan for this revision. Work on the NIC had already begun in FY14, and the Certification Committee and Headquarters’ staff continued to work together to complete the first phase of the project, a Job Task Analysis (JTA) study. The purpose of this work is to more clearly define the role of the NIC interpreter and update the knowledge, skills, and abilities (KSAs) required. With an updated definition and list of KSAs established, RID could begin the work of assessing the certification as a whole, including the content of current examinations. To accomplish this, RID contracted with experts in the certification industry who conducted a series of personal interviews, online focus groups, and a two-day, in-person Expert Practitioner Panel in Alexandria, VA. 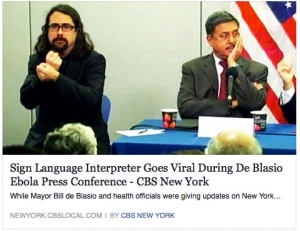 In total, more than 50 interpreters and members of the Deaf community participated in this process. During this process, RID attempted to determine if a JTA could be done for the CDI and NIC simultaneously. However, it was determined that the best approach to this process would be to follow conventional wisdom of one JTA for one credential. 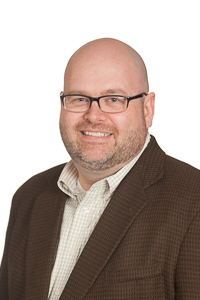 As the NIC and CDI are significantly different, combining the JTAs would create the risk of either short-changing one credential or having data that could not be easily differentiated between the two different roles. The result of the interviews and panels was a preliminary list of KSAs for the NIC interpreter. However, in order to ensure that this list is applicable to the wider community, they must be vetted with a validation survey (JTA). This survey will be open to the entire interpreter and Deaf communities and will ask which KSAs are used most frequently or are most critical for a newly certified NIC interpreter. Note: The survey has been prepared and was scheduled for release in the early months of FY16, however, the RID Board of Directors requested that this work be put on hold until the completion of the Testing and Certification Risk Assessment and a determination on the credentialing moratorium, both of which were conducted and implemented respectively in FY16. The second phase of this project is to evaluate which KSAs are currently evaluated in the requirements and assessments and how they need to be augmented. There is potential to re-imagine the assessment for the credential, including the development of new exams or adding alternative criteria, such as portfolios or interviews. However, no clear path has been determined to date and will not be until the JTA is conducted. In addition to developing the NIC, the Certification Committee made recommendations to the RID Board of Directors regarding the CDI, SC:L and OTC Certifications. These recommendations were used as a part of the rationale to institute the moratorium of performance exam testing, a decision made and announced at the beginning of FY16 in August 2015. In the meantime, the administration of RID’s current battery of assessments are outlined in the data highlighted in this section. In addition to information about FY15, we have also tried to show how this information relates to previous years. The data suggests that, while there are interpreters all over the country achieving certification, there are many more that are not able to demonstrate that they have the necessary skills to pass RID’s exams. This suggests that RID’s standard for an NIC interpreter requires a more significant level of preparation than the average interpreter is receiving, either through education, mentorship, or experience. 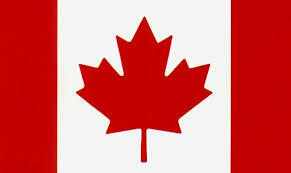 Note that all statistics are for Fiscal Year 2015 – from July 1, 2014 to June 30, 2015. The Certification Department is in direct contact with our members and we strive to provide excellent customer service. Email is the best way to communicate with the Certification Department as we can directly provide you with materials and links to answer your questions. We duplicate performance exam DVDs at HQ to be sent for evaluation. RID provides the number of exams administered during the fiscal year. Accompanying this information is the number of exams that received a passing score. 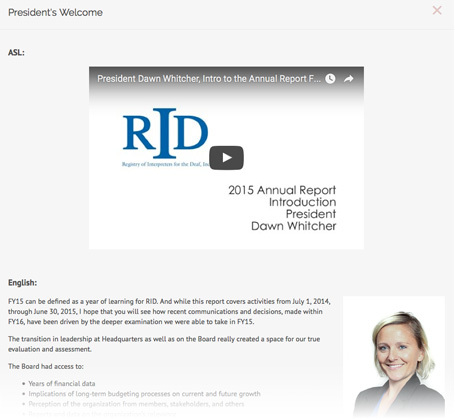 Between FY14 and FY15, RID has not made any changes to our exams or scoring processes. Therefore, any changes from year-to-year are a reflection of the overall preparedness of those individuals who chose to take the exam during a specific time-frame. This includes education, partaking in mentorship programs, experience, etc. This chart reflects the number of exams administered, not the number of people who took the exam. Per RID’s policies, candidates can retake an exam after a waiting period of six months. Therefore, it is possible that an individual could take the same exam twice in the same fiscal year. This chart includes information only from candidates who have received a passing score. 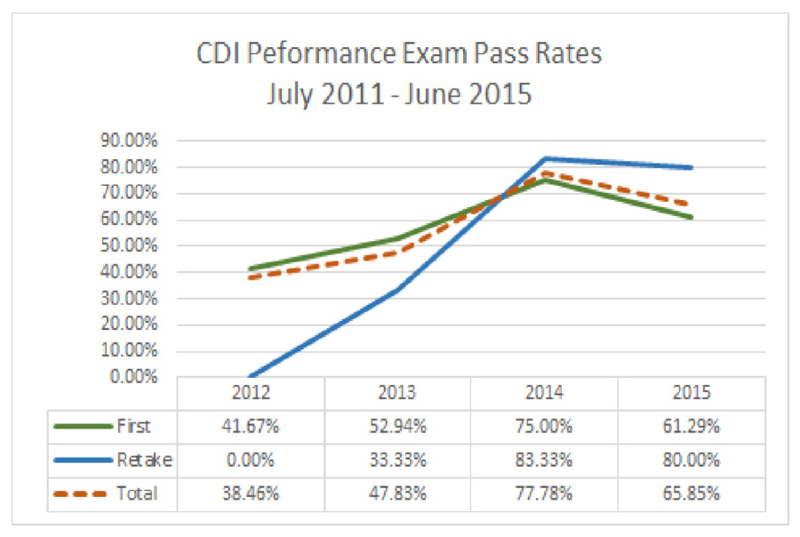 The majority of candidates that pass RID’s Performance Exams do so on the first or second attempt. 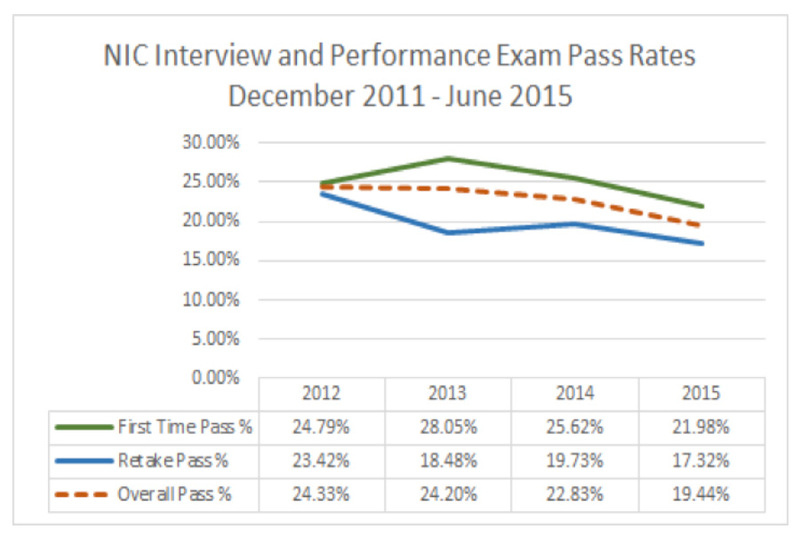 This data reinforces RID’s statements about the reliability of our exams and suggests that only those who are adequately prepared are receiving a passing score. Simply retaking the exam multiple times does not increase one’s “chances” of passing the exam. How do we ensure that new interpreters meet the standards of the community? What makes a qualified interpreter? 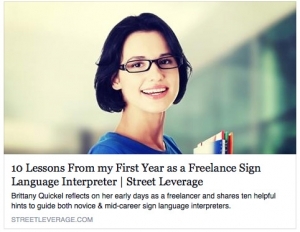 What do interpreters need to be able to understand or do to be effective in their work? 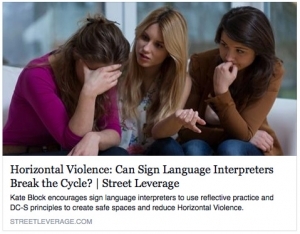 What defines a successful interpreting encounter? The answer to these questions and others like them are not always easy to come by. Ask these questions to a group of ten people, and you’re likely to get 11 different answers. But these are the questions that must be answered in order to promote increased competency within the profession. Those who are working to promote the profession have to try to identify the answers in a way that makes sense. 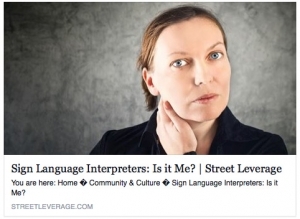 RID, interpreter training programs (ITPs), and professional development providers, are all seeking to encourage increased quality in the interpreting field. To do that, we have made efforts to establish standards of competency that inform how we organize our programs. RID, in particular, plays a vital role as one of the main gatekeepers to the profession. Our certification programs set a standard for this minimum competency. But how does RID ensure that that standard is accurate and reflective of the standards of the collective? The answer is to periodically conduct Job Task Analyses (JTAs). In essence, the JTA is a snapshot of the interpreting field and the minimum requirements necessary for a specific kind of interpreter. It is an independent evaluation of the need of the community, one that is intended to be universal. This snapshot is then used as the model for which all new certificants are compared. RID does this through the establishment of examinations that measure an interpreter against the established standard. Currently, RID uses multiple choice exams to test a candidate’s knowledge of the interpreting field. The content of these exams are derived directly from the JTA. By the same token, RID develops performance exams to measure skills that can not be tested in a written test. A vital component of these assessments is the training and monitoring of human raters. The exam is only meaningful and relevant if these raters score exams in line with the standards. The JTA has natural applications outside of RID. As a set of standards, and in some cases a barrier to entry to the profession, ITPs and other providers of interpreter training/education can use the JTA to inform their curriculum. The entire system is interdependent. But at the heart of it all is the needs of the community. meet the standards of the community? By issuing certifications, RID is providing a service to the community by pre-screening interpreters based on standards of competence. Offering the certification provides a type of warranty to consumers, both Deaf and hearing, that they can rely on a certified interpreter to come to the table with a specific skill-set. By offering generalist, entry-level, certifications, RID is attempting to raise the quality of this level of interpreter. In the beginning, seeking certification from RID was a completely voluntary process. Interpreters sought certification as a way to differentiate themselves from their peers or to prove to themselves that they were competent. But as RID’s programs have become more established, the voluntary nature of certification is shifting. Interpreter agencies and some state regulatory bodies have started to use RID’s certifications as minimum entry to practice, meaning that a person can not work without holding these certifications. RID’s certification program, therefore, is held to a higher standard of quality than it may have been in the past. Our exams are considered “High Stakes,” meaning that major life decisions, such as whether someone gets a job, are based on the outcomes of the tests. RID must continue to ensure that our programs are both fair and relevant, and this will require more investment in our programs than we have provided in the past. The interpreting profession has changed since the inception of RID’s certification programs, and RID has adapted to this change with the development of new assessments. The CSC gave way to the CI and CT, which gave way to the NIC. As the skills required of interpreters, or the ways in which we evaluate them, has evolved, so too has RID. The content of the NIC program is now 13 years old. The CDI, SC:L and OTC closer to 20 years. It is time for RID to evolve again by re-evaluating our programs. 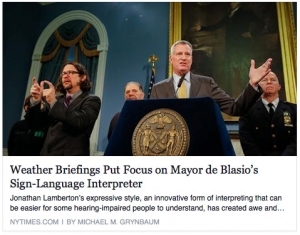 This evaluation process will no doubt indicate that some expectations of interpreters will remain the same. However, we can see evidence that there are new expectations required of interpreters than there were in the past. For example, with the growth and greater awareness of the CDI, the NIC interpreter may need to have a greater knowledge of this aspect of the profession. The Job Analysis, or JTA, is a research study that ends in a survey of interpreters and consumers. The goal of the survey is to determine the knowledge, skills, and abilities necessary for the credential being studied. Using the results of the Job Analysis study, exam format and content is outlined, including the number and types of questions/scenarios for each exam. An exam item is a question or scenario. Volunteer Item Writers are provided training on how to write effective items and a bank of questions/scenarios is produced. Each newly written item is reviewed for grammar, format, content, and relevance. Items that do not meet established standards are discarded or sent back to Item Writers for revision. Items are compiled into different forms, or versions, of the exam according to the Exam Content Outline. In order to ensure that each form of the same exam type is of the same difficulty, a Cut Score Study is conducted on each exam by a work group of interpreters and consumers. This study systematically sets the passing point for the form being reviewed. The exam is opened to active candidates. 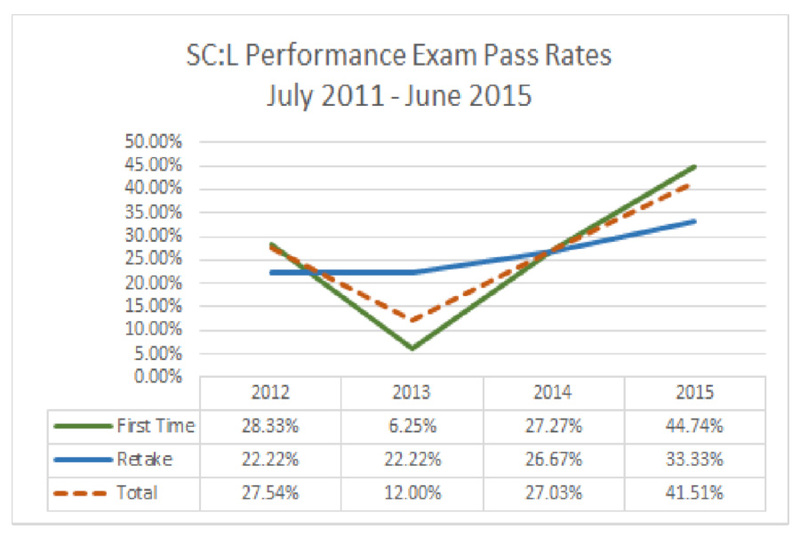 Score reports for the initial set of exams are held pending Initial Scoring & Data Analysis. Once a critical number of exams have been taken, the scoring systems are reviewed to ensure that all questions and scoring systems are performing as expected. Once the initial analysis is complete, score reports are sent to all candidates as available. Periodically, exam forms and individual items are reviewed to ensure that they continue to meet standards. Poor performing items are identified and recommended for replacement. Additional items are written periodically to replace poor performing or older items. 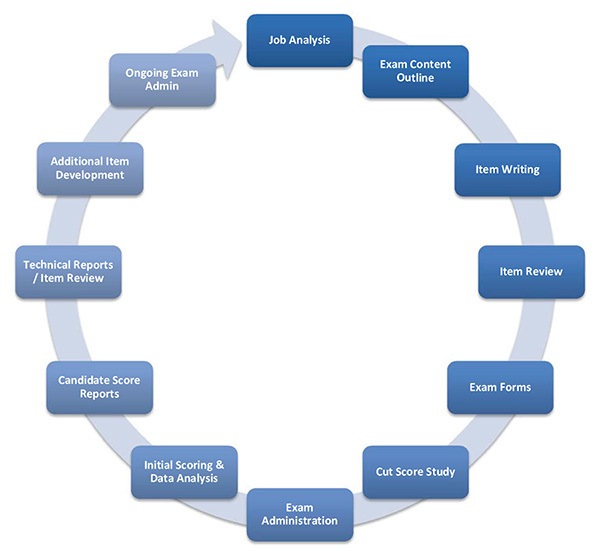 Exam administration continues through this process. New forms of the exam may be added as new items are incorporated. With the need for adaptation and greater relevance established, RID must gather the current body of knowledge in the interpreting field and distill it into a set of transparent standards for the practice profession. The RID Board of Directors has adopted the National Commission of Credentialing Agencies standards for certification as a guiding document. These standards outline a process for gathering this information and developing a relevant, valid, and reliable assessments. The first step is to conduct a Job Task Analysis (JTA) study, followed by the development of assessments. The JTA is a research study that is designed to gather knowledge from the community and determine what skills are required for competent practice as an interpreter. For each credential, RID will need to conduct a separate JTA. In its simplest form, a panel of experts is gathered to share their knowledge and develop a list of knowledge, skills, and abilities required for competent practice. The community as a whole then has the opportunity to validate these results by participating in a survey based on the panel’s work. The end result of the JTA study is a list knowledge, skills, and abilities that should be measured by any assessment. RID has already done the bulk of this work for the NIC credential, spending approximately $98,000 in FY15. That expense includes the costs of consultants, travel, and interpreting services. Future JTAs may not need as large an investment of time and resources, depending on the scope-of-work and number of practitioners. The knowledge, skills, and abilities established in the JTA must then be turned into valid and reliable exams. Again, this process involves the work of multiple panels of experts for each exam to design the format, content, rating, and scoring systems for each exam. For each type of exam, questions or scenarios must be written and then reviewed for accuracy. Any video content must be filmed, and raters must be trained to evaluate candidates. Finally, RID has to incorporate all the questions and scenarios into different versions of the exam and conduct a final analysis to ensure that versions of the same test are equally difficult. The costs and time-frame for completing this work will depend on the design of the test and the number of the questions or scenarios that will have to be re-written. 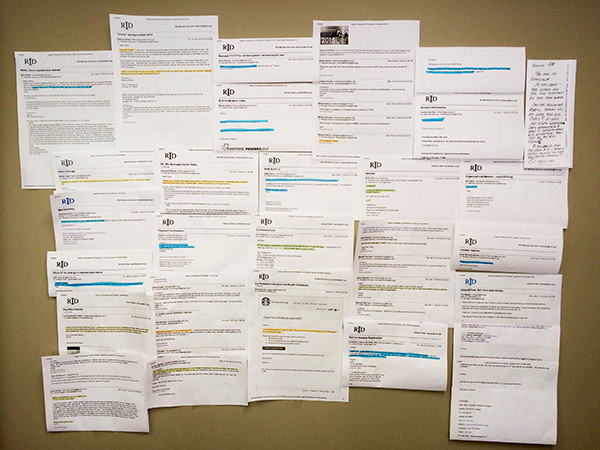 Headquarters staff received responses to a Request for Proposals (RFP) in 2013 for development of a new set of NIC exams. The proposals were written with the assumption that the format of new exams would be similar to the current ones. The table below breaks down the overall $250,000 price-point to individual pieces. RID launched a new website in FY15. The new website focuses on engaging our RID community. The spike that you see on March 11, 2015, was the launch of the new look for www.rid.org. 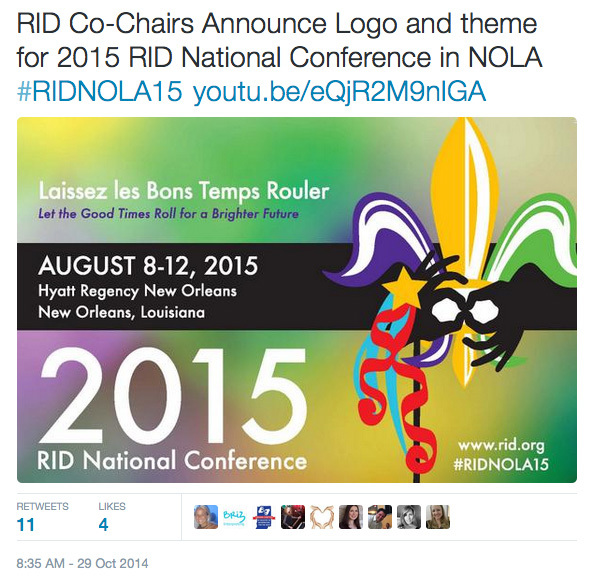 The second big spike, on April 23, 2015, was when the schedule was announced for RIDNOLA15. And from the top pages viewed, it seems that this shows these are some of the main reasons that people come to our site, member or non-member. What do these web numbers mean? Tell me without using math. Our Facebook presence continued to expand in FY15. We continued to cross-post all of our new posts and content from our website to Facebook, recognizing that people want to be more actively involved in the discussion of news rather than just receive the news. It is fascinating that out of the 10 most widely-discussed posts on our page this year, nine of them were from the community-at-large and not content originating from RID. Likewise, we have many more likes on our page than we have actual members. This points out that we have become a content hub for an audience beyond just our members. We have a larger audience – a worldwide community – that benefits from our social media connections. Facebook? Why should we do Facebook? 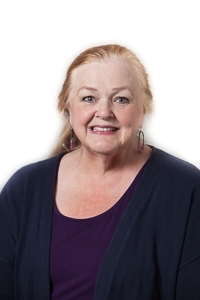 #RIDNOLA15 Report by Reg IV Rep. Connie Herndon… Night of the Stars event, #MyRIDstar. http://t.co/BYM01a2Zz3 Register today! #RIDBOD received the four motions from the Reputable Agencies Task Force. Their report to be shared with members via VIEWS and website soon. How is the EPS System doing? Where are we going from here? Fiscal Year 2015 was a year of transition, change, and challenges for the Ethical Practices System (EPS). During a year that brought significant changes in staff resources to the EPS, we received an unprecedented number of complaints. 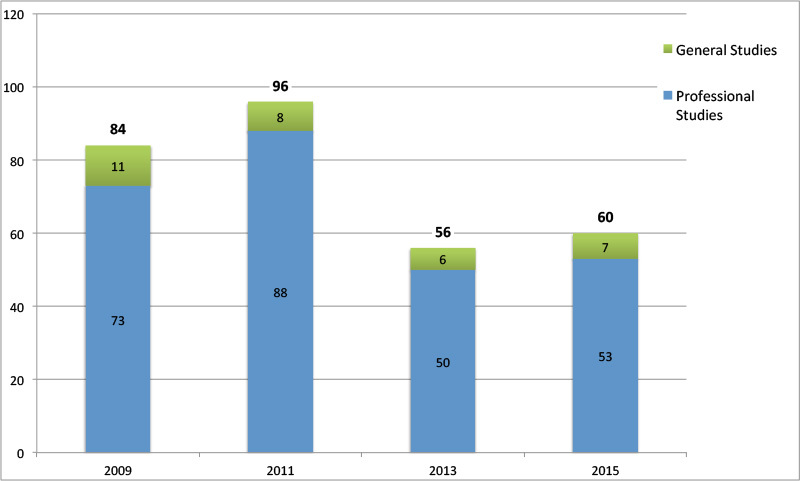 In fact, the number of complaints received by the EPS has steadily increased to nearly doubling of those received in the last five years. 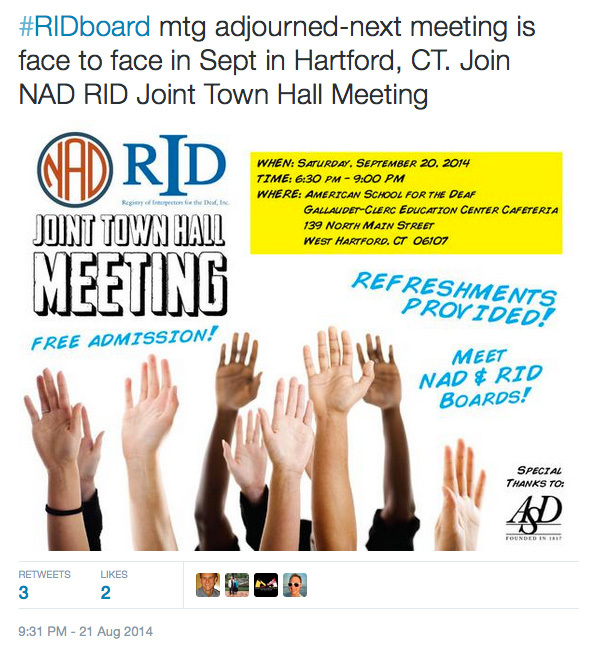 In 2000, RID hosted the first mediation training in the history of the association. Since then, our pool of EPS Mediators has remained relatively stagnant, with sporadic opportunities for additional training tapering off in the last two years. 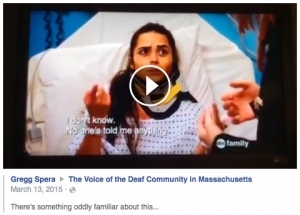 At the end of FY15, we had 12 mediators on the EPS roster, four of whom are Deaf. Similarly, the number of EPS adjudicators remained largely unchanged at 12 at the end of FY15. FY15 shed light on this truth: the strength of EPS will be built through both adequate Headquarters staffing and resources to provide timely administrative support of the process and an active, well-trained team of mediators and adjudicators. In the first quarter of FY16, the EPS was transferred under the administrative purview of the Standards and Practices Department and welcomed a full-time EPS Coordinator to support the administrative function of the program. FY16 will be a rebuilding year for the EPS, where volunteers and staff will work together to update policies, streamline processes, and establish systems to ensure that the program can support a fair and efficient grievance process. We look forward to your support as we undertake this important work. How is the EPS System doing? 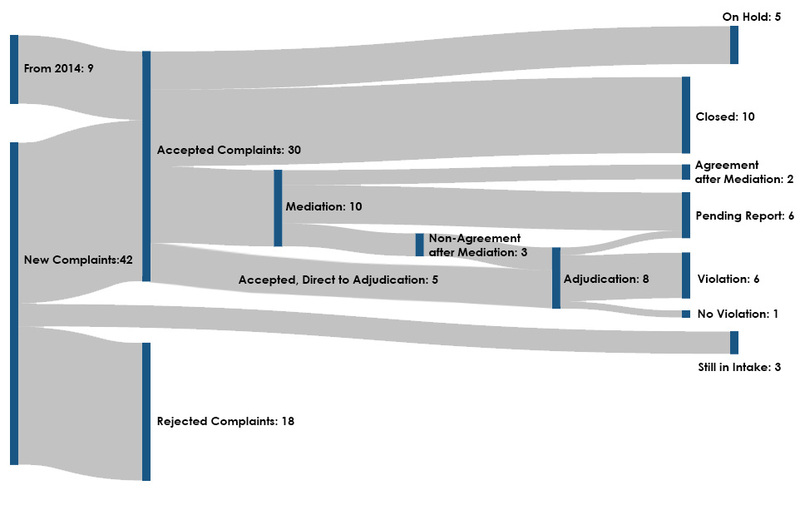 This chart shows the flow of cases through the Ethical Practices System. New cases can either be accepted or rejected if they do not meet the criteria for EPS complaints. After being accepted, some go into mediation, others may go direct to adjudication. Of those that go into mediation, some are resolved, while others are subsequently brought to adjudication, where a violation may or may not be found. 5 cases are on hold because of concurrent litigation involving the parties. 10 cases were closed because there was a lack of response or the case was withdrawn. 3 cases are (were) still in intake as of the end of FY15 (which ended June 30, 2015). Note: We’ve put explanations for some of the numbers in the tables. If the table cell is colored, then you can hover your mouse and a pop-up will appear. This chart demonstrates income and expenses, over a 15-year period, for RID testing and certification activities. This includes both direct and indirect costs of the Certification Department. The green line is the net from the income minus the expenses. As you can see, in 10 out of the 15 years, it was negative. What appear to be spikes in testing revenue in certain years can be misleading on the surface. These spikes are directly related to decisions the organization made about testing and certification and therefore, are anomalies. As illustration, the modest spike in 2003 and 2004 relate to the introduction of the NIC exam while RID was still administering the CI and CT exams. And, the more substantive spikes in 2008 and 2009 represent the rush to take exams prior to the implementation of the education requirements and the final rush to take the CI and CT exams before these tests were sunset. The losses experienced since 2010 reflect the impact of the degree requirements and an overall reduction in the number of individuals eligible to take the exam. As the standard was raised with the addition of the degree requirement, the pool of eligible candidates has been reduced. Further contributing to the 2010-2015 deficits are the increased costs associated with expenses related to testing and certification, particularly relating to the cost paid to external consultants upon which RID relies for test development and administration. 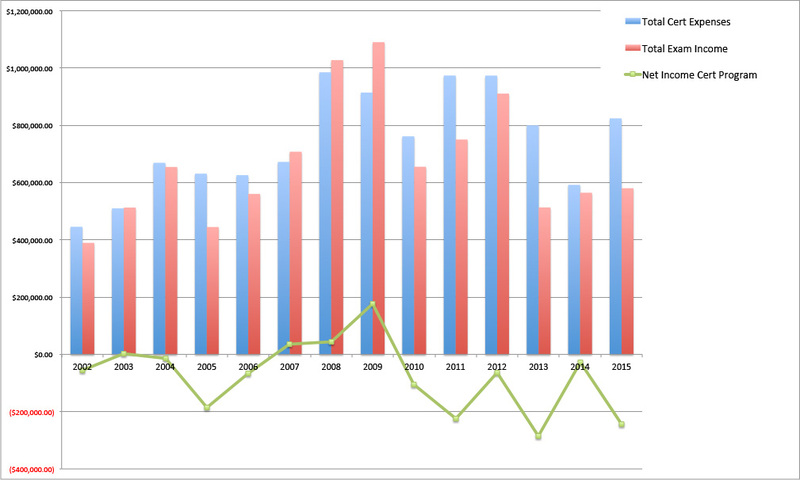 This is the same data from the previous chart, in spreadsheet form, to see exact numbers. This is a breakdown for the cost per exam for all Performance Exams (NIC, CDI, SC:L, and OTC) in FY14 and FY15. Direct expenses include: the computer testing services, postage, shipping, supplies, paying the local test administrators, and paying the raters. Indirect expenses include legal fees, administrative costs, consultants, the annual test development depreciation, meetings, and program operating costs. The big story in Member Services this year, over and above the numbers, is our continued effort to improve services for our members. This year, we hired two new Member Services Specialists, whose job it is to answer the phones, respond to emails, and handle member requests and concerns. Ashley Potter and Estie Kruglak have been amazing additions to the Member Services Department, and the response from our members has reflected their commitment to excellent service. Headquarters often receives requests from government agencies, researchers, and employers regarding demographic information to aid in their work. It is vital to the community to have an accurate representation of our membership. By logging into your RID membership account and updating your profile with your information, you can help researchers and employers make advancements in the field. 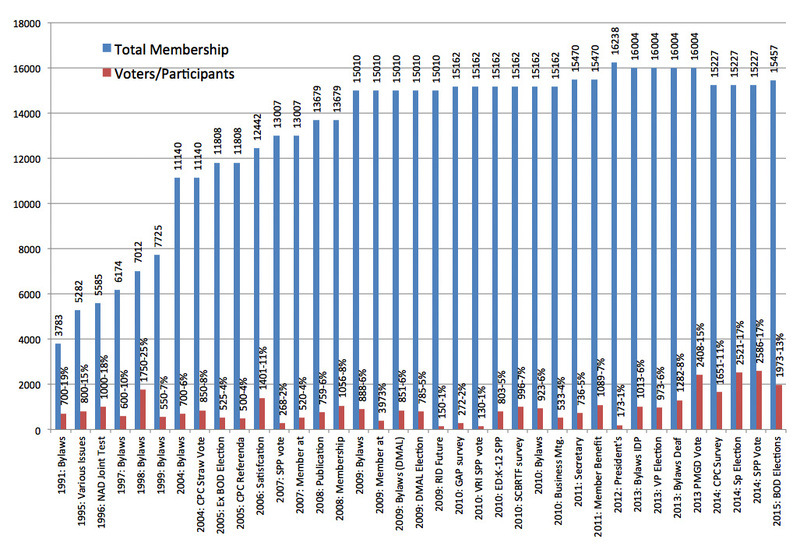 In years past, RID has seen a steady increase in membership as the profession itself was growing. We also saw spikes (as did other departments) when the educational requirements were placed on certification. 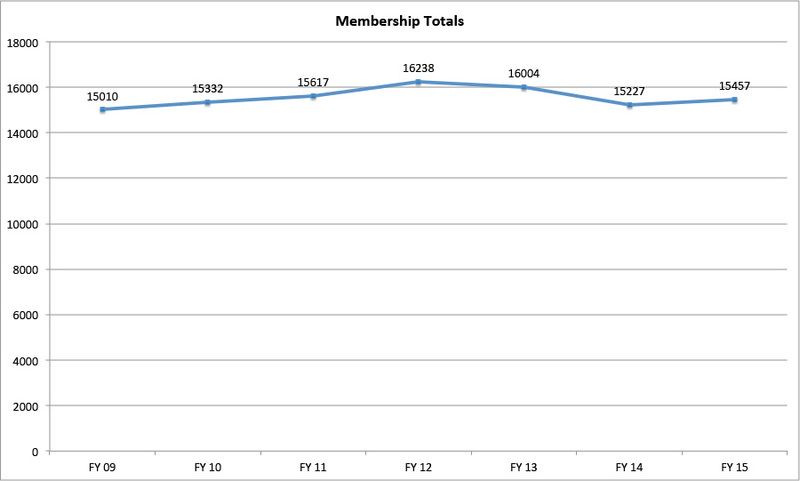 In FY13 and FY14, RID saw a decline in our membership total. While the number of Certified members increased, the number of Associate and Student members decreased. This demonstrated to us that a gap existed that we need to fill in our level of engagement and outreach. It showed us that we need to do a better job connecting with these categories of members in demonstrating the value of joining their professional association. In the coming months of FY16 and beyond, we will engage in some outreach and marketing to do just that. In addition, we realized the need to do a better job in some of our core areas, including customer service. In FY15, we increased our staff from one full-time person, to three full-time employees within Member Services. We have made a tremendous effort to get back to the basics of customer service and hope you have seen the difference. 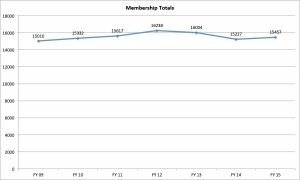 In FY15 we started to see a slight increase in membership totals, which we will work to continue in FY16 and beyond. Increasing membership numbers is not just for the sake of having a large number, it is about advocacy and standards in the interpreting profession. The more members we have, the larger our voice can be in setting standards, advocating for our collective mission, and strengthening our shared values. Members who tend to be active in the political process and use their voting leverage are fiercely protective of their rights, and appropriately so. RID members who are politically active have a long history of making motions that have helped to shape RID as an organization. Sadly, the actual percentage of members who regularly and consistently use their voting rights is small, somewhere between 2% at the most recent RID conference to 15% in a 2012 effort to amend the Bylaws to add another position to the Board of Directors. On average, between 3-8% of RID’s members vote in the business of the organization. As a result, it is a small number of people who are making decisions that impact your experience with RID (e.g., who gets elected to the Board, what the Bylaws state about member categories, what are the requirements for certification maintenance, etc.) If you are one of those members who actively participates in the political process, that is great! Think about how you might organize yourself and others around issues you find important. If you are not a member who participates in the political or voting process, then it might be worth getting involved and influencing the change you want to see. The YOU and WE of RID hold the power. 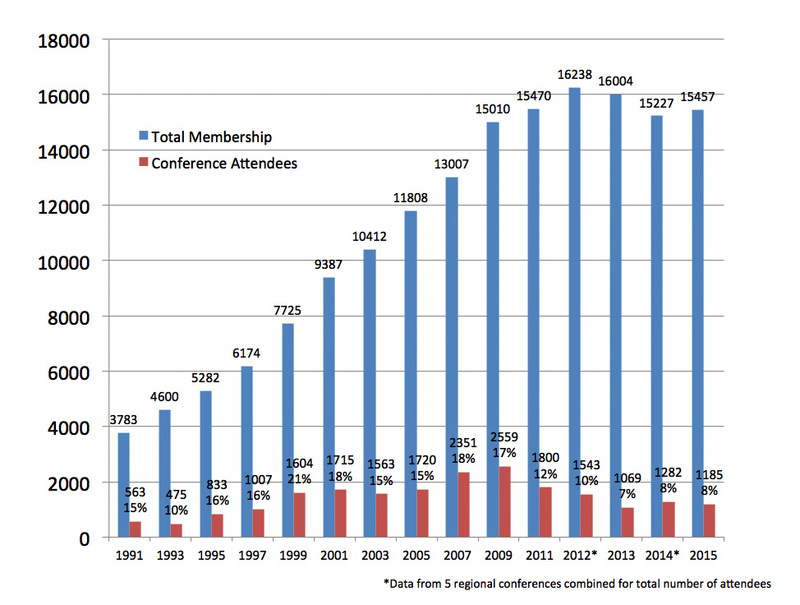 Over the years, as the profession grew, conference attendance was high, peaking at 21% of the total membership in 1999. A significant dip in attendance started to occur in 2009, coinciding with the recession; less people had money to travel to distant conferences. 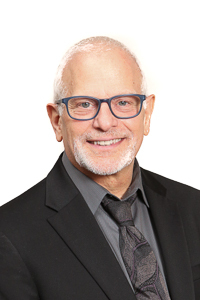 Local and online CEU options have also become ubiquitous over the past several years, meaning that members can get their CEUs from other sources than the national conference. More recent national conferences have also offered fewer CEUs in the program, perhaps making the conference itself less attractive. We have also noticed that when a conference is hosted in a region with more members, the attendance is higher since there are more members within easy traveling distance. The 2015 RID National Conference official financial standing will be included in the FY16 Annual Report. However, we wanted to include its performance with the other information we are currently reviewing. 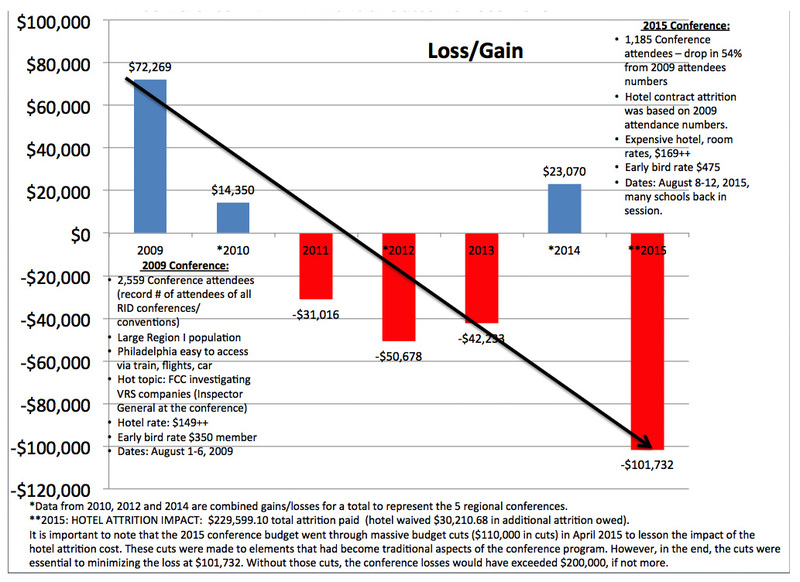 With the loss of the 2015 National Conference looking to be more than $100,000, we need to determine the best fiscal route for our conference planning that also assures a relevance and connectivity to our roots for our education and networking offerings. In addition, there is a lot of time and effort, on behalf of staff resources and volunteer time, that goes into planning each conference which only benefit a small number of our membership. We are in the process of assessing the feasibility of hosting a modest conference in 2017 in Region V. This means modest in the location, contract, and hotel obligation. The goal is to provide a dedicated track that supports leadership growth in the association and in the profession, an investment in the leadership chain of the overall organization. It is important to note that there is a renewed commitment from Headquarters that the planning of all conferences and regional functions will again go back to our roots. This includes a collaboration with local and regional leaders that will be an imperative part of the planning and execution of the conferences. There are many aspects of RID’s work that are readily tangible or visible, like the eNews, the website, and member cards. These projects are spearheaded by the talented staff in RID’s Programs and Services. But there is another division working feverishly behind the scenes to ensure that the infrastructure of RID is sound so that staff and volunteers alike can work more effectively. Whether it is making sure that the internet and other systems are running efficiently or ordering supplies for the office (including coffee for those long hours at 333 Commerce), the Operations Team touches nearly every part of RID. Sent an email to an RID staff member? That’s Operations. Accessed your information in the member portal? Also Operations. Ordered a book through the online bookstore. That’s…you get the picture. While focusing on supporting the day-to-day work of staff, volunteers, and members, Operations does not work without a keen eye to the future. For example, the team began researching transferring our bookstore inventory to Amazon in FY15 and is making it happen in FY16. Imagine being able to order ABC-123 Student Workbook and Practice DVD from Amazon Now and getting it the same day. We think that’s pretty cool and hope you do, too! Rolled out new Employee Handbook including a new Employee Assistance Program. 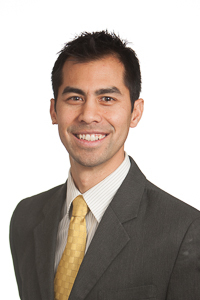 Health Insurance carriers changed from Kaiser/United Healthcare to Carefirst, offering seven plan options including an exciting Health Savings Account (HSA), as well as new innovation in care, technology, and transition support services to ensure the change from previous providers is effortless and in no way disruptive. In addition to this tremendous body of work, we have also maintained current rates with no increase in vision, dental life, medical gap, short- and long-term disability coverages. “Facade” is defined as the face of a building, especially the principal front that looks onto a street or open space. Well, in FY15, 333 Commerce Street got a facelift! 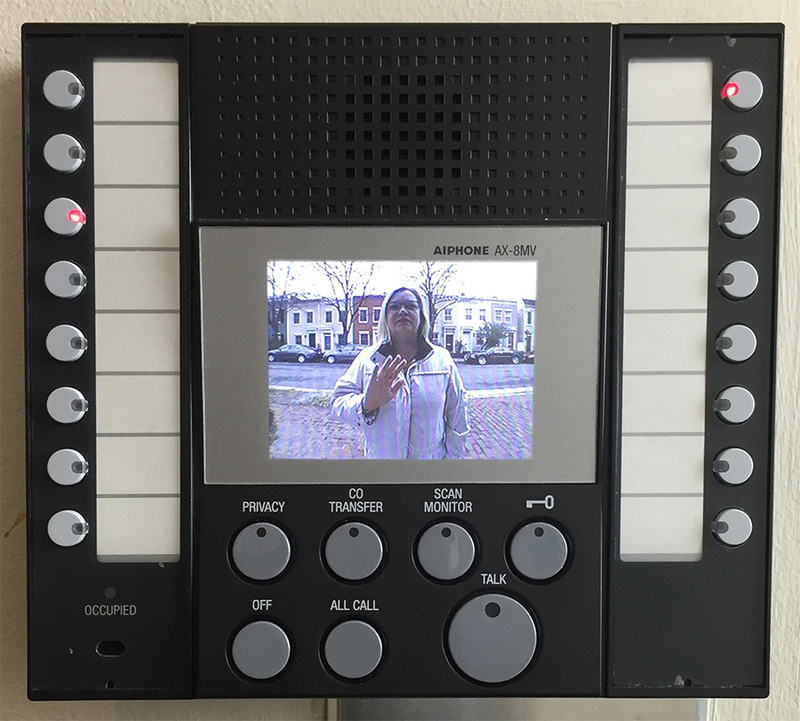 We installed a cool new intercom system for our building, which includes a video feed so our employees can see who’s outside “buzzing” before granting access. A visual system that promotes the safety of the Headquarters’ staff? That’s a double win! And while there is now a light that signals to the guest that the door is unlocked and they are able to enter, we recognize that there is more work to be done to truly roll out the welcome mat to all of our diverse members. All data is for July 1, 2014 through June 30, 2015, except for 1) the information on the 2015 National Conference, which happened in August 2015; and 2) the number for the amount of members whose cycle is ending was pulled in January of 2014. RID approved sponsors are a vital part of the Professional Development program within RID and provide members opportunities for continuing education throughout their time as an RID member. Over the last four fiscal years, there has been a declining trend with the number of approved sponsors. The decline in approved sponsors is due to a variety of reasons that include, funds not available in the sponsor’s individual budget to continue, revocation from an audit performed by the Professional Development Committee (PDC), or lack of staffing to provide the administrative work on the sponsor’s end. In addition, the sponsor application process has been suspended since 2009, which has halted any new sponsors from replacing those lost. It is our goal to make sure members are being provided a variety of educational opportunities nationally to assist with their professional development needs whether they are a Certified, Associate, or Student member. With that in mind, we are working with the PDC, as guided by the Board, to lift the suspension of the sponsor application process so that any person or organization who is capable of providing professional development can apply. This is a goal that we anticipate accomplishing in FY16. For previous RID National Conferences, the Professional Development Committee has provided sponsor training for those who were in attendance at the conference. For the 2015 National Conference, it was important to reach as many sponsors as possible. Training was provided at the conference on-site for those in attendance, but this training was also livestreamed to sponsors who were not physically able to be there. The training was also recorded and archived for sponsors to view at any time. With such a great response, we will continue to create trainings to assist current and future sponsors to uphold the standards and criteria of the CMP and ACET programs. Audits are performed to ensure the RID approved sponsor is offering, endorsing, and ensuring the quality of educational activities they provide. The last comprehensive audit performed by the PDC was in 2009 and has not been conducted since due to a lack of available resources. To ensure the continuing audits of sponsors, we will be training a dedicated group of people who will focus solely on audits. This will allow the PDC to focus on their scope of work, as directed by the RID Board. RID relies on RID approved sponsors to provide and approve appropriate educational activities for participants. They help maintain the integrity of the CMP and ensure that interpreters have ample and varied opportunities to learn, grow, and further develop their skills. Distance CEU providers are RID approved sponsors that provide our members educational opportunities online. Online education has become increasingly prevalent throughout the years and provides members an opportunity to take advantage of activities they normally could not attend. Sponsor Initiated Activities are developed by a sponsor and presented for group instruction or for individual study. Examples include short courses, workshops, seminars, conferences, teleconferences, and distance learning (e.g., continuing education publications, teleconferences, multi-media instruction materials, and programmed learning materials) (see Section VI). Participant Initiated Non-RID Activities (PINRAs) are activities an interpreter/transliterator wishes to attend which are not offered by an RID approved sponsor. The activity must be sponsored by an organization with specific known standards and must have a specific format, educational objectives, and purpose. PINRAs include but are not limited to: auditing a college course, non-credit courses at an educational institution, corporate trainings, community education, school district in-service, and organizational conventions/workshops. Administrative paperwork is processed by the approved sponsor. (see Section VII). NOTE: Participant must apply for approval from an approved sponsor prior to the commencement of the activity. CEUs may be awarded for Academic Coursework taken from an accredited institution during the participant’s current cycle. This accreditation must be recognized by the Council for Higher Education Accreditation (CHEA). Successful completion is defined as receiving a minimum letter grade of “C” (2.0) or above. Academic Coursework Activity Plan/Report is processed by the approved sponsor. If the participant is auditing the course or taking it through the continuing education office of the institution, they should contact an approved sponsor to complete a Participant Initiated Non-RID Activity Plan (see Section VIII). The participant plans Independent Study Activities with input from the approved sponsor. The Independent Study Sponsor monitors and approves Independent Study projects. Examples include research, initial curriculum development, study groups, independent reading, mentoring, and the preparation of scientific/clinical materials for publication (see Section IX). NOTE: Participants must apply for and receive approval from an approved sponsor prior to the commencement of the activity. We provide different avenues for members to earn CEUs and increase their professional development. These different avenues allow all members, no matter where they are located, to engage in their continuing education. Our search tool for workshops allows members to plan their educational activities for the upcoming weeks, months, or even a year. If there is not a sufficient number of face to face workshops in an area, there are three other ways of learning we offer; Independent Study, PINRA, and Academic Coursework. This is the first year that members had the opportunity to submit an extension request after December 31, the date that marks the end of the cycle. Members who did not meet the CEU requirements for their recent certification cycle can pay a late fee and submit their extension request by June 30. We have received a great response from those members who have taken advantage of this new opportunity. This allows members to extend their certification cycle to meet the CEU requirement for certification renewal. The new extension request decreased the percentage of members being revoked from 5% to 4%. The impact on an individual’s certification cycle remains the same as for an individual who has submitted an extension request by December 31. The one year extension is started from the date your cycle ended, even if the extension is submitted later in the year. An extension does not delay the end date of the next certification cycle—the extension cuts into the following cycle. Once enough CEUs are earned to complete the extended cycle, the next cycle will begin immediately. This data is being included in the Annual Report but note that cycles ended on December 31, which was halfway through Fiscal Year 2015.